La Plata County expects to spend more money in 2019 than it collects in revenue as a result of decreasing natural gas collections. The county will dip into funds saved years ago to pay for one-time capital improvement projects. La Plata County, for the first time in years, will see an increase to its property tax revenues, but the bump is expected to be short-lived as natural gas prices continue a decades-long decline. This week, La Plata County officials presented the 2019 proposed budget, which will be open for public comment and review before it is expected to be adopted in December. Since 2010, the county’s property tax revenue has declined 50 percent – from $29.4 million to $14.9 million in 2018 – as a result of oil and gas prices dropping. The fall in property tax revenue has resulted in La Plata County cutting a number of services, staff and maintenance projects, such as improving roads. This year, however, county officials are planning for a 4.3 percent increase in property tax revenue to about $15.6 million. Diane Sorenson, the county’s finance director, said the bump is attributed to an increase in natural gas prices in 2017, which is reflected in the 2019 budget. Though this is good news for next year’s budget, county officials worry the 2020 budget will be plagued again by low prices for natural gas in 2018 and the implementation of the Gallagher Amendment, an expected $750,000 cut to the county’s revenue. In terms of 2019’s budget, the county will continue to “live within its means” as revenues remain low. Because of the increase in property tax, as well as a nearly 5 percent jump in sales tax, the county expects budget revenue of about $61.1 million in 2019. About 27 percent of the county’s revenues come from sales tax and about 25 percent come from property tax. La Plata County budgeted $74.9 million in expenditures in 2019, about a 10 percent increase from 2018. Most of that increase is attributed to operating expenses, up 8.5 percent, and one-time capital improvement projects, up nearly 35 percent. The county’s cost of personnel, its largest expenditure, will not see much of an increase from 2018. The county left 19 positions vacant last year and will increase that total to 21 positions in the upcoming year. Most of the capital improvement projects are being funded by money set aside when tax revenues were high in anticipation of the county’s future needs. Eleven projects will total just under $11 million, with nearly $3 million in expected grants and contributions. 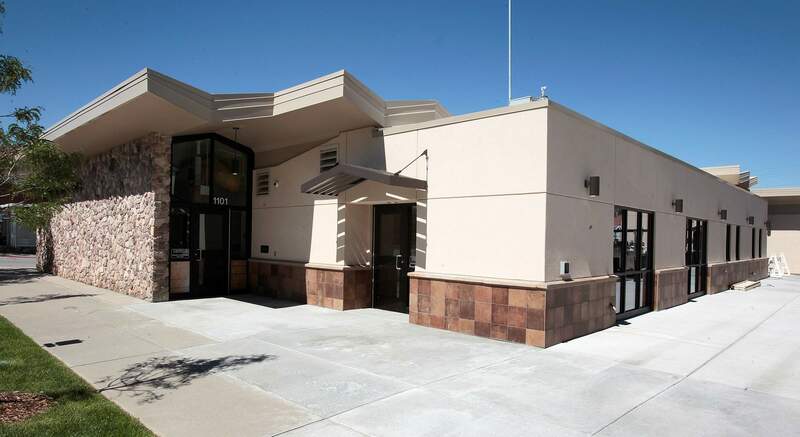 Projects include a new building to house the Assessor, Clerk and Treasurer’s offices, remodeling the lower La Plata County Courthouse, remodeling the Armory Building and moving La Plata County Search and Rescue into a permanent location at the Armory Building. La Plata County plans five projects within its Road & Bridge fund, totaling an estimated $5.5 million, with $2.7 million in grants and contributions. Projects include improving county roads 220/219, County Road 250, County Road 318 and County Road 329. The 2019 budget also proposed $1.4 million to replace 28 vehicles. Spina said this will be the second year funding will be cut back to public service agencies, such as nonprofits, which brings significant impacts to local nonprofits. The county plans a robust public input period to allow residents the chance to weigh in on what services should be saved and what should be cut. “Our approach is to bring the community together, like a family comes together, to address its challenges,” she said. The county has been thinking outside the box to cut back on costs, Spina said. A program to encourage innovative thinking in the county has trained about half of its 450 employees, resulting in 155 innovation projects that have saved $1 million in hard and soft costs, Spina said. And this year, the county will lease more space to the U.S. Marshals Service at the La Plata County Courthouse, bringing in about $250,000. Public comment on the budget is scheduled for Oct. 23 and the Board of County Commissioners will vote Dec. 11 on the budget.